BTP#32 St. Bernard and the 12 Steps to Humility and Pride – The Mystery of Faith in the Wisdom of the Saints. 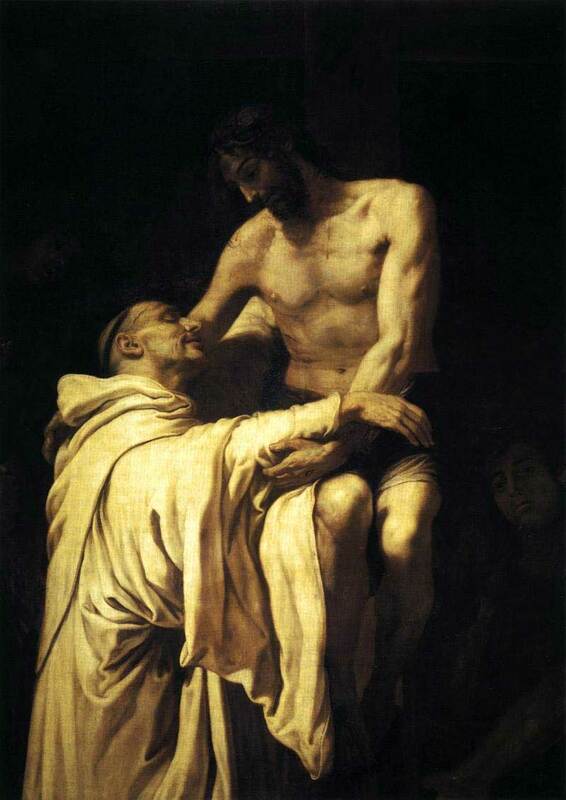 In this episode Dr. Lilles continues the discussion on St. Bernard of Clairvaux and his teachings found in “The 12 Steps to Humility and Pride” and “On Loving God”. St. Benedict of Nursia – b. 480 – d. 547. St. Benedict. The Rule. Edited by Timothy Fry, O.S.B. New York: Vintage Books, Random House, 1981, 1998. St. Bernard of Clairvaux. Selected Works. Trans. G.R. Evans. Classics of Western Spirituality. Mahwah, NY: Paulist Press, 1987. St. Hildegard of Bingen. Scivias. Trans. Mother Columba Hart and Joan Bishop. Classics of Western Spirituality. Mahwah, NY: Paulist Press, 1990. St. John of Avila. Audi, filia – Listen, O Daughter. Trans. Joan Frances Gormley. Classics of Western Spirituality. Mahwah, NY: Paulist Press, 2006. St. Teresa of Avila, Collected Works, Vol. 1. Trans. Kieran Kavanaugh, OCD, and Otilio Rodriguez, OCD. Washington, D.C: ICS, 1987. St. John of the Cross. The Collected Works. Trans. Kieran Kavanaugh, O.C.D. and Otilio Rogriguez, O.C.D. Washington: ICS, 1991. St. Therese of the Child Jesus and of the Holy Face – b. 1873 – d. 1897. St. Therese of Lisieux. Story of a Soul. Trans. John Clarke. Washington: ICS, 1976, 3rd ed. 1996. St. Maria Faustina of the Blessed Sacrament b. 1905 – d. 1938. St. Maria Faustina Kowalska. Diary: Divine Mercy in My Soul. Trans. Marian Fathers of the Immaculate Conception of the B.V.M. Stockbridge, MA: Marian Press, 1987, 3rd ed. rev. 2010. Blessed John Paul II. Rich in Mercy, (papal encyclical). Stockbridge, MA: Marian Press, 1980, new trans. 2010.